small: wd- 2.91" x ht- 1.45" medium: wd- 3.28" x ht- 1.58" large: wd- 3.63" x ht- 1.66"
Sweet little flowers and bud dots....perfect for so many items. Small enough to fit on most yokes, bodice, collar, pocket, neck line, etc. 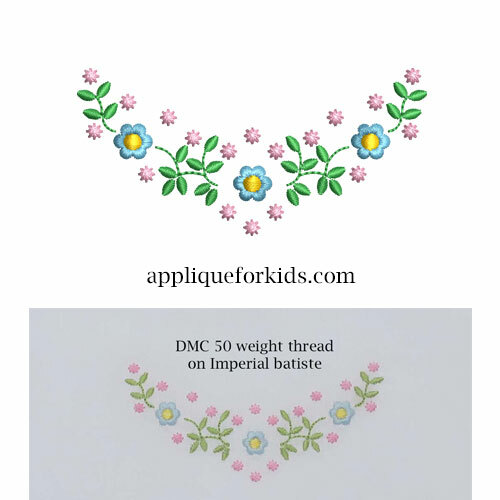 You can use the normal 40 weight embroidery thread, or the DMC 50 weight thread, which gives a hand stitched look.